To bridge new equipment installations or temporary high workloads, we provide short-term installations and a wide range of mobile solutions through our Secondlife refurbishment program. 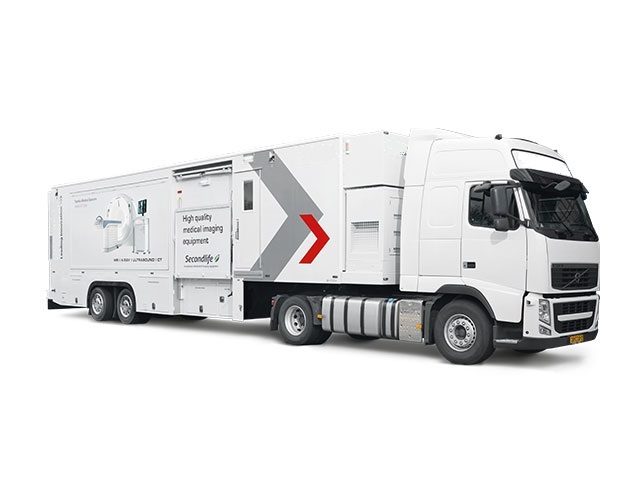 Our fleet of mobile imaging trailers is equipped with state-of-the-art CT scanners. All that is required to take advantage of a mobile scanner is sufficient parking and power facilities. Our mobile CT trailers are fitted with 128-slice Aquilion scanners sourced from our certified Secondlife refurbishment program. Complete with fully ergonomic workplaces and a set of post-processing options, from cardiovascular to dental and neuro applications, the scanner will arrive at your hospital or imaging center ‘ready-to-go’. 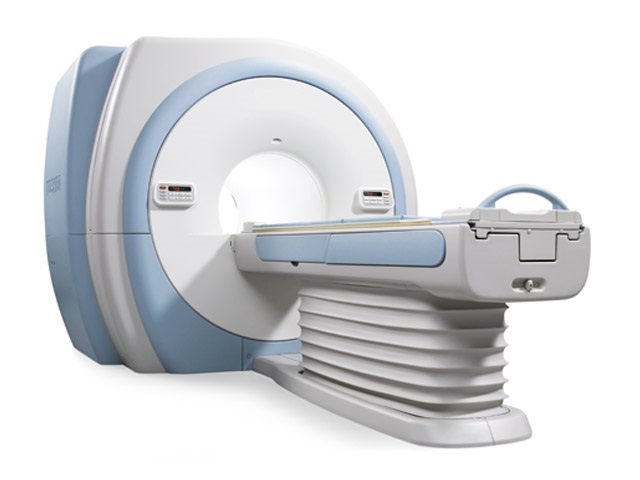 The spacious environment around the scanning couch allows clinicians to maneuver freely around the equipment and patient. The mobile scanners come complete with a PAT slide, a patient lift and an adjustable trolley to ensure both patient and user safety. On-board workstations and mini PACS enhance post-processing, as well as patient administration and reporting. Being scanned can sometimes be a stressful experience for patients. With this in mind, our mobile CT scanners have been designed to ensure a non-claustrophobic environment, reducing stress and anxiety for the patient. The mobile scanners are equipped with a spacious changing room, ensuring patient privacy, whilst a secure locker is provided for patients’ valuables. The truly multitasking environment of our mobile CT scanners makes high patient throughput easily achievable even in a mobile setting, without compromising on patient care, workflow or image quality. On-board facilities ensure you have everything at your disposal. 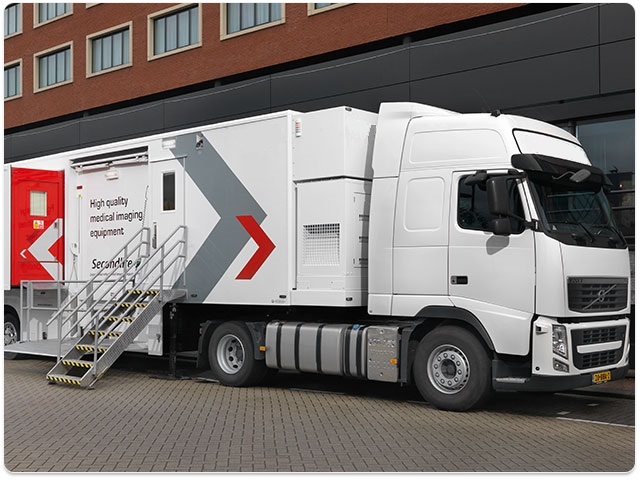 Ensuring the lowest possible radiation dose to the patient, whilst maintaining the optimal level of image quality, we can offer mobile CT scanners with a comprehensive package of dose reduction features including AIDR 3D and Active Collimation. Renting equipment can be a rewarding solution to fulfill your immediate clinical needs while avoiding larger capital investments. Our Secondlife refurbish­ment program offers flexible rental solutions to meet your specific needs, including short- and long-term rentals as well as rent-to-own options. The mobile unit is equipped with a digital leveling system for quick setup on arrival. A patient lift enables easy access also for patients with limited mobility. The spacious, fully air-conditioned unit allows staff to move freely around the patient. A dual-head injector and ECG system enable advanced imaging application. The control room provides a fully ergonomic work environment. It is equipped with workstation and server for patient data and image storage with full RAID backup.